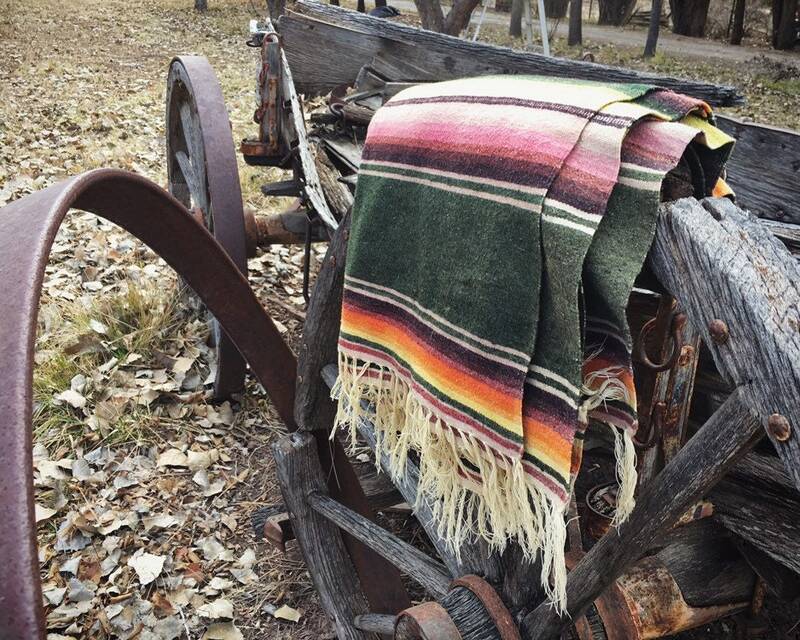 I come across quite a few Mexican serapes out here in New Mexican, many thin and made of acrylic blends. 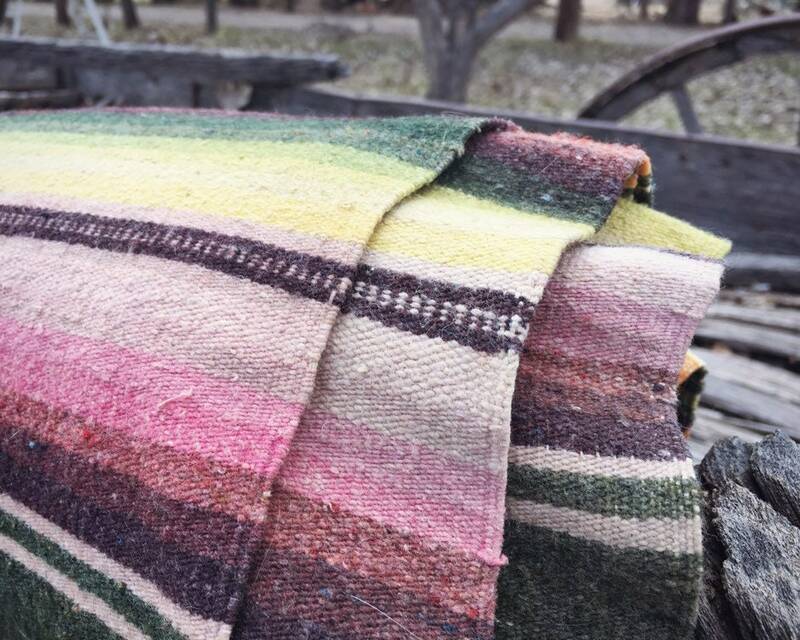 But this particular one is heavy and tightly woven, made of a thicker material, possibly wool or a wool blend. 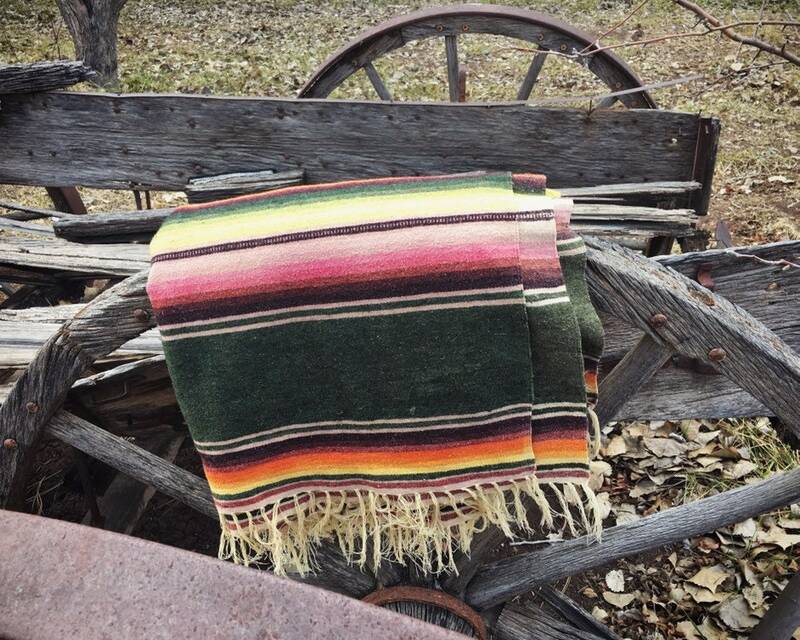 The colors are deep and somewhat washed by time. This is at least circa 1950s and may be a decade or so older. And the colors are especially appealing: a deep green green with lighter shades of green, and oranges that turn to red and almost light purple. All mixed with off white. 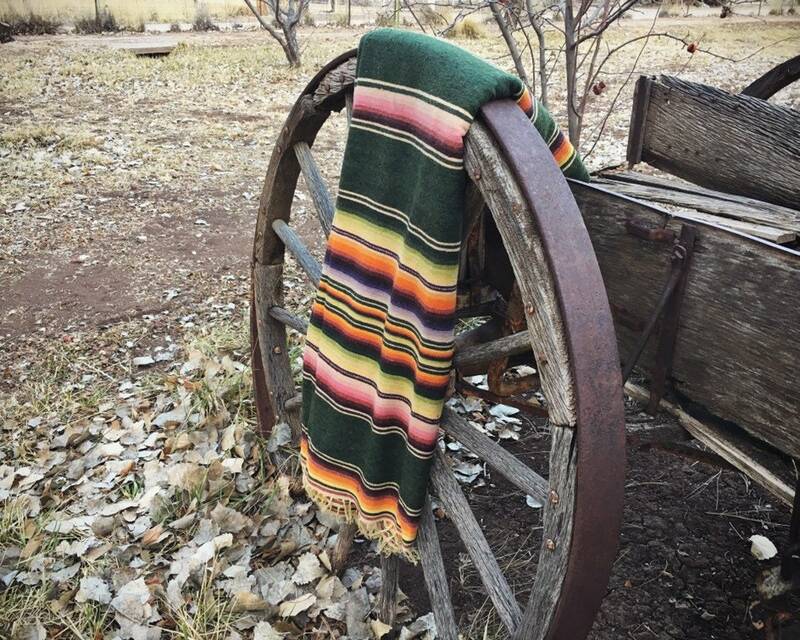 A center symbol, this one thin and subtle, adorns the blanket, as it does for many of these Saltillo designed and made pieces. 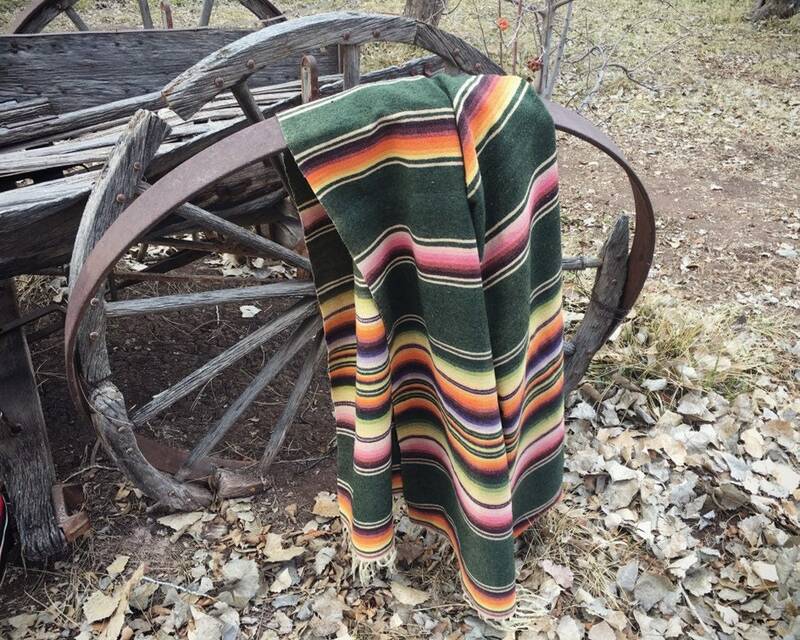 You would think these blankets are plentiful out here in New Mexico, but in all honesty, we come across them not so often, probably because people used them, for truck seat covers and bedspreads and so on. 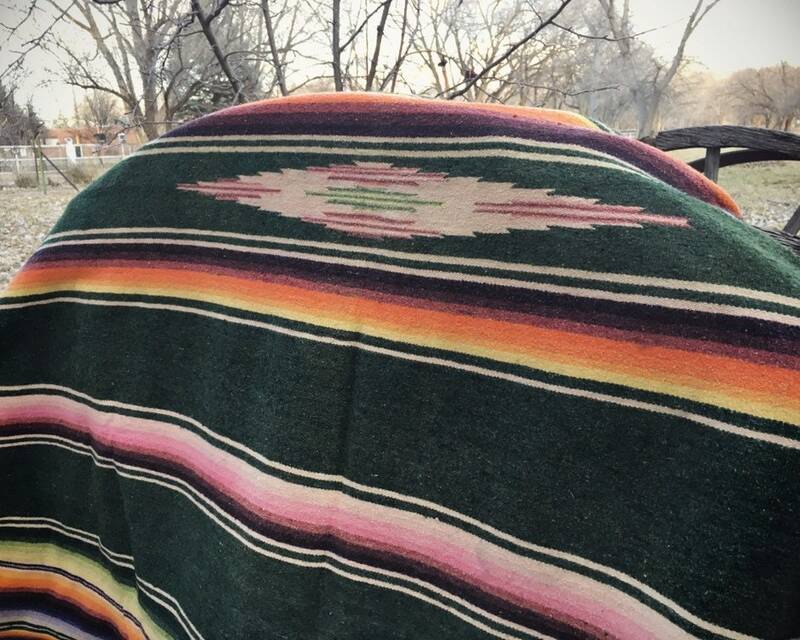 Measures 60" (5 feet) by about 87" (7.25 feet) and a bit longer if you include the fringe. Faded but in good vintage condition considering the age. 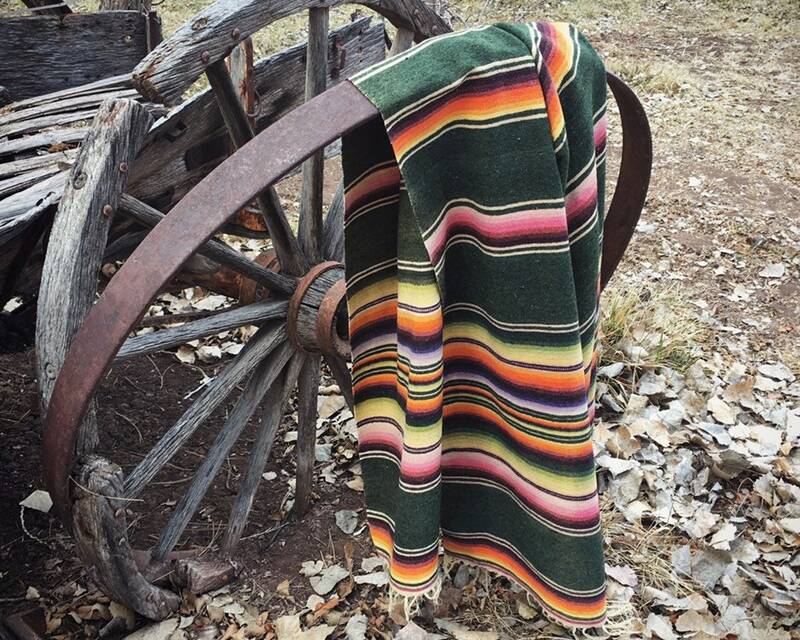 A Mexican serape with beautiful washed colors! 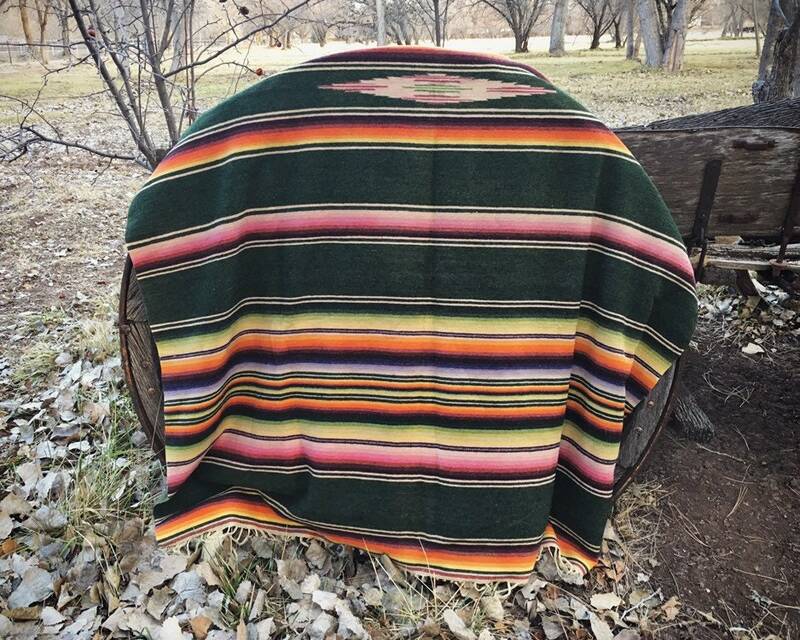 Viva! Fast shipping and very good communication. Excellent bright colors!